s I shared earlier, I have a freakish amount of fabric and I want to not only contain it but actually use it. So each month I'm going to do at least 1 project that is strictly stashed fabric. I'm not going to limit myself to only using my stash because I feel like that's a good way to end up with a bunch of makes that I'll never wear. It's just unrealistic. 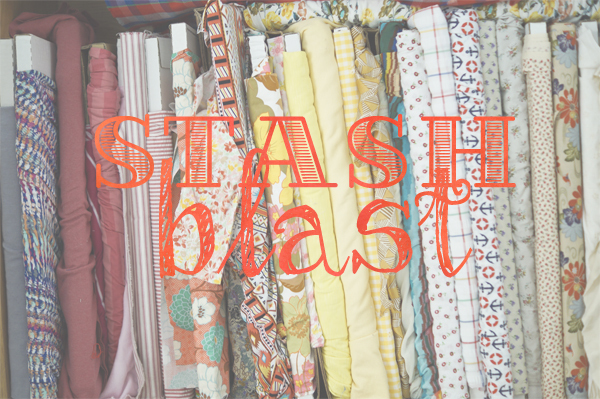 If you'd like to join me in this challenge and share your makes join me on Instagram with the hashtag #stashblast15. If you despise instagram, no judgement, then there is also a flickr group. I'm looking forward to this making challenge and seeing what you've been squirreling away!